Ever since I was in grade school, I've been organizing my life...down to the minute. I am that type-A. Before Google calendar, I had an assignment notebook in 4th grade and used the Franklin Covey method to organize my school work and activities. I have gotten a lot better over the years. I've learned that not everything can be mapped out in life, but God knows, I've tried. As a result of my OCD, I've tried out almost every system to organize my life and at least for my daily work stuff, I landed on using Trello as my go-to organizer. 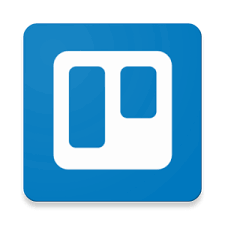 Trello is basically a online board where you can post tasks in different designated columns. It's really nice for anyone who uses a Kanban organizing system. Kanban was created in the 1940s by Taiichi Ohno, who was a Toyota engineer, attempting to streamline daily workflows at Toyota. The basic setup of a Kanban schedule is about designating individual tasks — typically represented by post-it notes or a digital equivalent — and moving from left to right through columns. Think about columns like... Due Now, Due This Week, Due Later, etc. Cons: I think the mobile app isn't as great as the desktop version because it is not as intuitive, but the functionality gets better and better after each update.